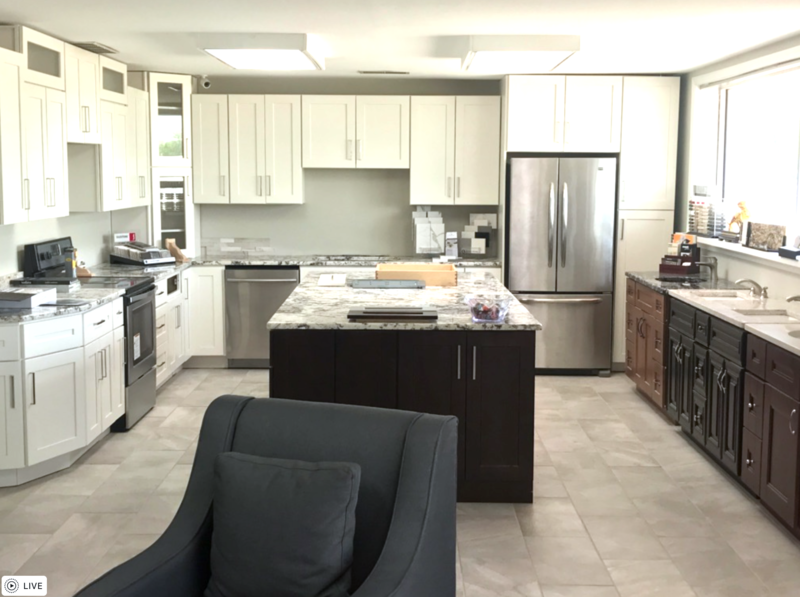 We are making progress on our “butler’s pantry,” and I wanted to share with you the beautiful quartz countertops that we installed last week! 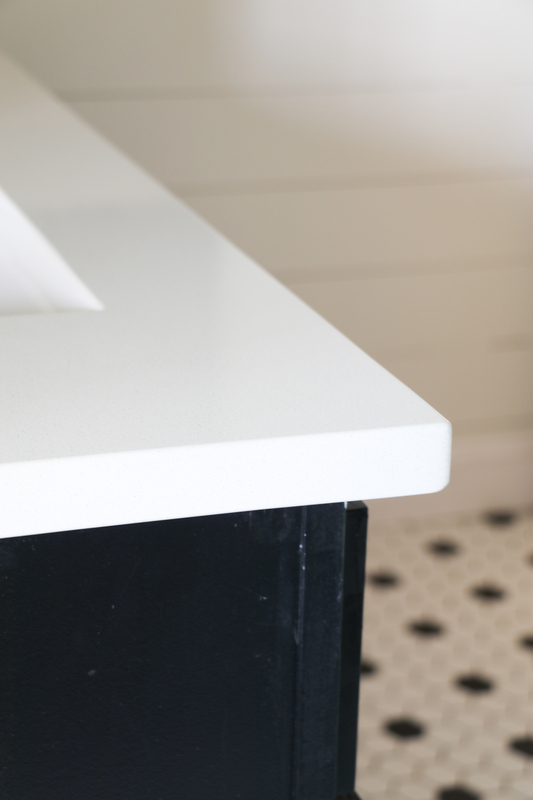 I have never had quartz countertops in any of the homes I have lived in, but y’all, I am telling you…I LOVE THEM! Since we didn’t have a large space to cover in the butler’s pantry, we were hoping we could find a “remnant” piece of quartz to use. 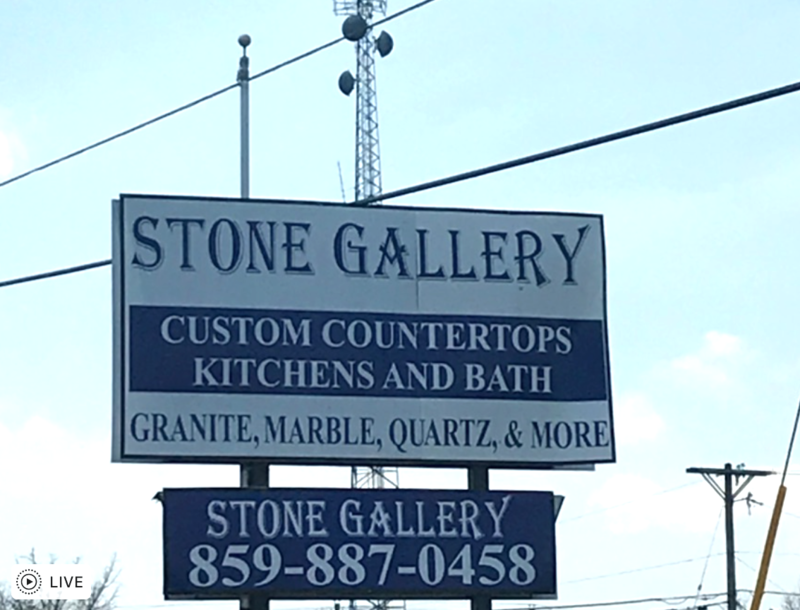 We stopped by Stone Gallery in Nicholasville, and found one that I love! She took us around to the back of the store to look at their remnant pieces, and we found a beautiful piece of Snow White Quartz from MSI Quartz. It was exactly what I was looking for, and the remnant was big enough to cover the space I needed for the coffee bar. SCORE! 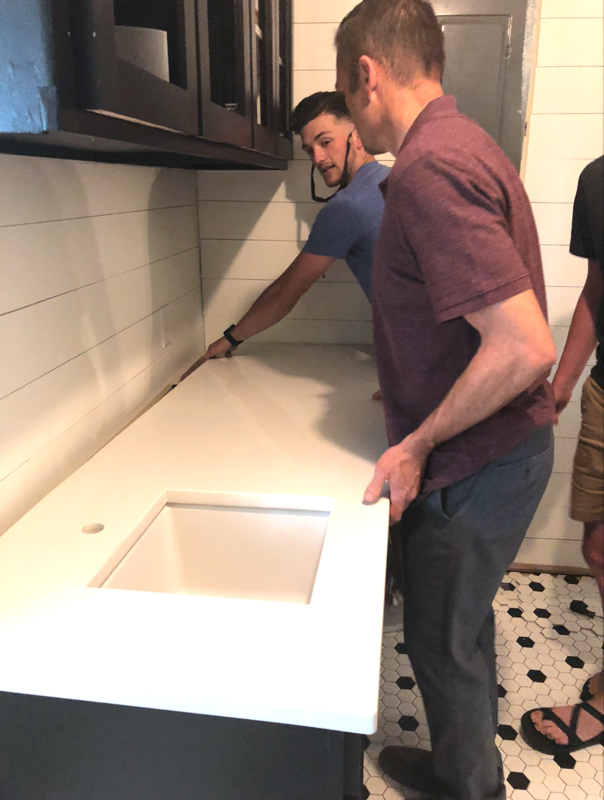 We gave them the measurements we needed, and how big the cutout piece for the sink needed to be, and within a few short days, they had it ready for us to take home! 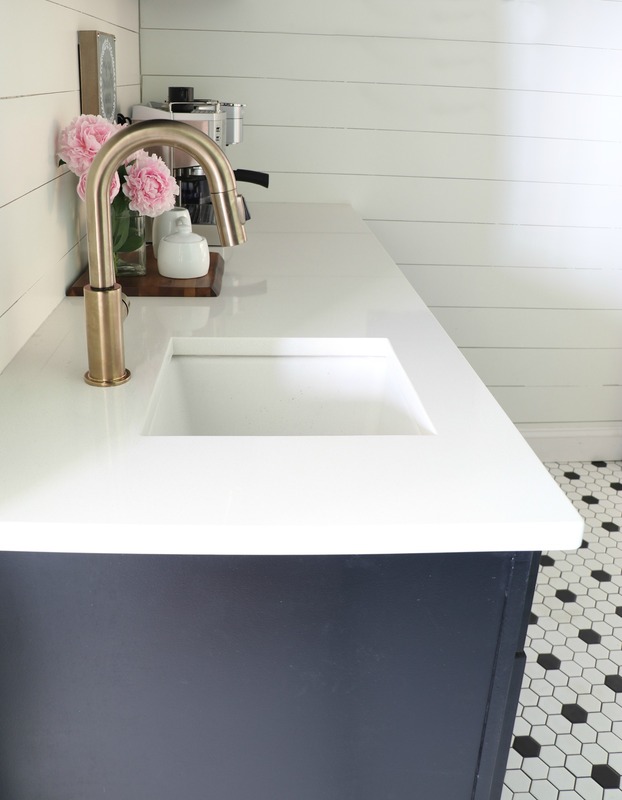 They also attached the sink we had bought for the coffee bar to make sure it was attached correctly. 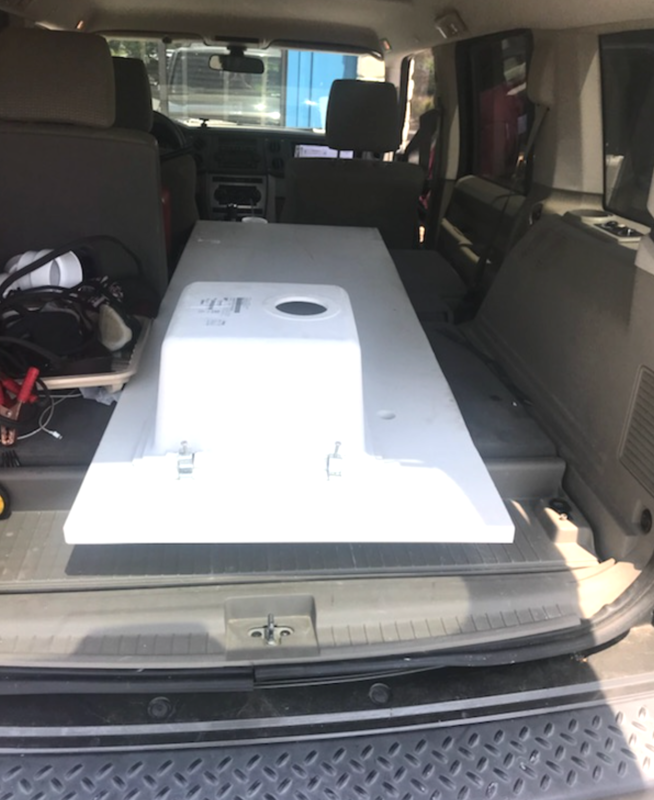 Cy carefully loaded it in the back of his car and brought it home to install. Jonathan was home that weekend which definitely helped! This countertop was heavy! Luke jumped in to help too. These are the moments I am so glad God gave me a bunch of boys! haha! 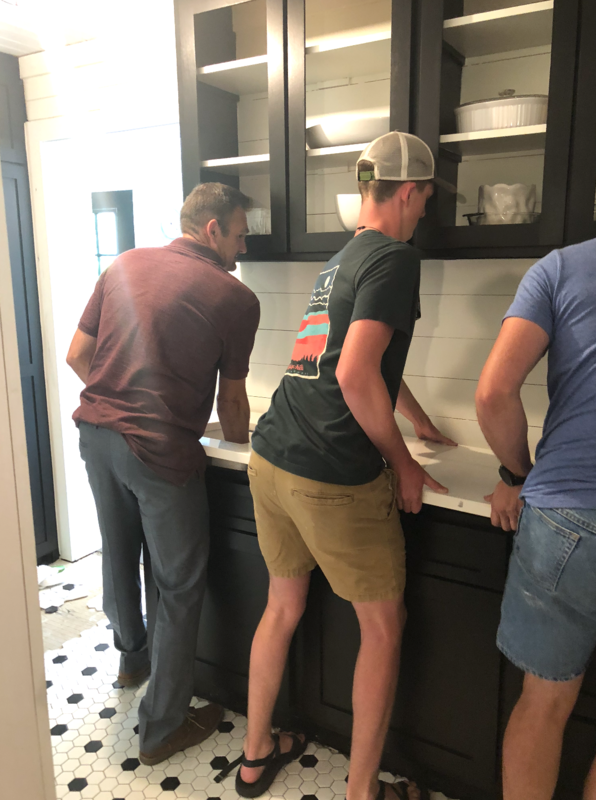 Once we got it in place, Cy had to make a few cuts in the wall to make the countertop fit perfectly, and then he applied a thin bead of caulk around the edges to make it look seamless. We are enjoying this space so much! I’m so glad that we put a sink in this area. 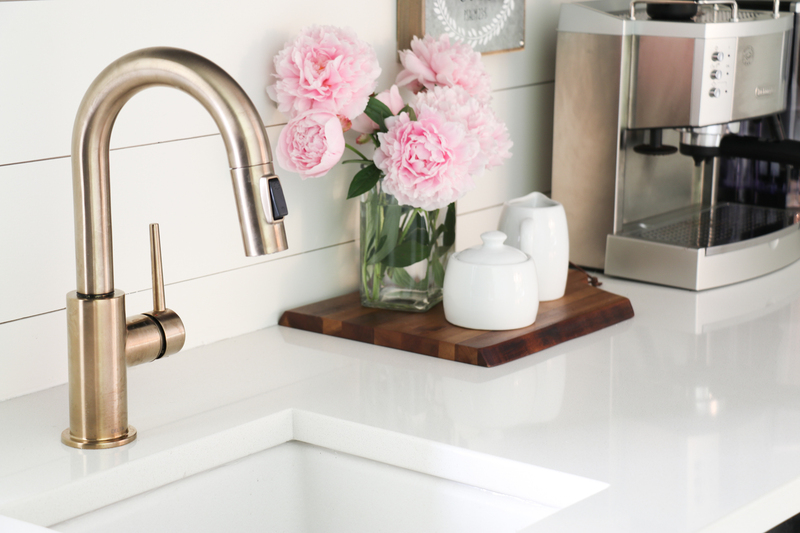 It makes it so much easier to fill up our coffee machines and quickly rinse out our cups. I’m so in love with quartz now. (I’d like to have it throughout my kitchen!). And I would chose this exact color again. It’s the perfect white with tiny little specks of brown that you have to look closely to see. I love the way it shines, and it is so easy to clean up! We have spilled little coffee drops on it many times already, and it wipes right up without staining. This is probably my new favorite spot in our house. We needed the extra storage SO BADLY because we do not have a big kitchen. In these pictures, we had not installed the glass in our upper cabinets yet, but they are in there now. I’ll be sharing some updated pictures later this week, including information about our new tile floor. « Keto Friendly Bacon Cheddar Jalapeño Poppers! Boys are GREAT!! I have 3 grown sons! 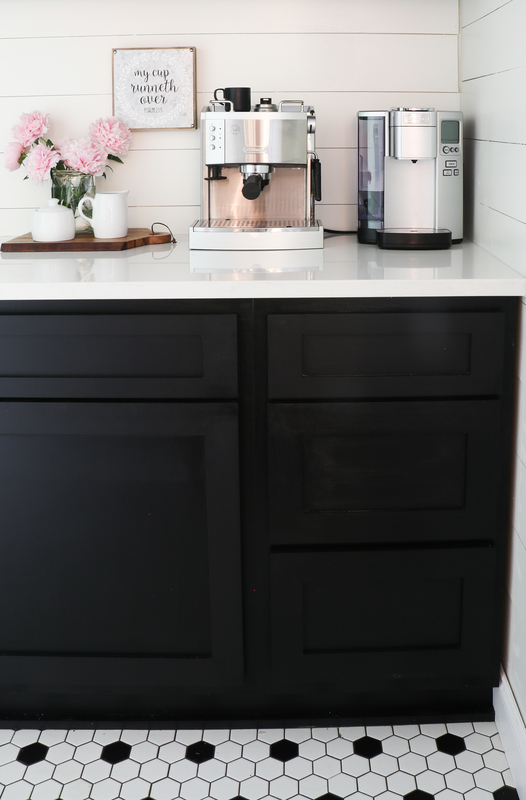 Love you Tracy and your new coffee bar/butler’s pantry. However, I doubt seriously that slab is really granite. Looks really nice. 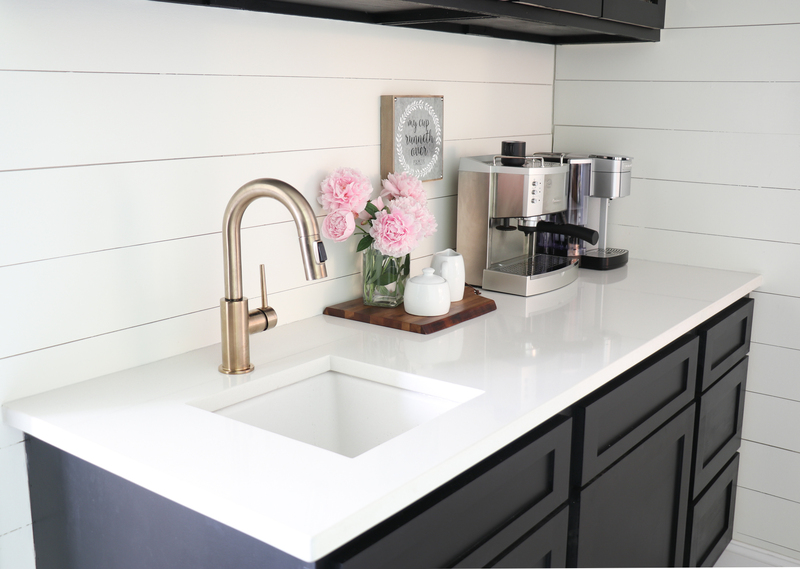 This makes me want a coffee bar, very nice job! Traci, this is so beautiful! I know you are so proud and enjoying it every day. You are so blessed. Gorgeous! It turned out great! I’m loving this space and SO wish I had a similar space. The black and white is very classic. WOW, Traci it’s beautiful! Y’all did a great job! Also, where did you get your sign “My Cup Runneth Over”? Thanks! Very pretty! I love my granite also! Traci, the room is so pretty! You did a beautiful job with the design (as always)! So beautiful. You guys really are gifted in make-overs. PLEASE come to my house. :) I love your sign “My Cup Runneth Over.” Where did you get it? How did Jonathan’s grad party weekend go? I saw your great niece was born. She’s so cute. So beautiful. You guys really have a gift for remodeling. PLEASE come to my house. :) Love the sign. Where did you find it? How did Jonathan’s grad weekend go? I see you have a new great niece. She’s so cute. Thank you, Kathy! Graduation was fun (and exhausting!). :). And yes, I have a sweet great niece now, and she is precious! Girl. That house gets better and better! Stunning! 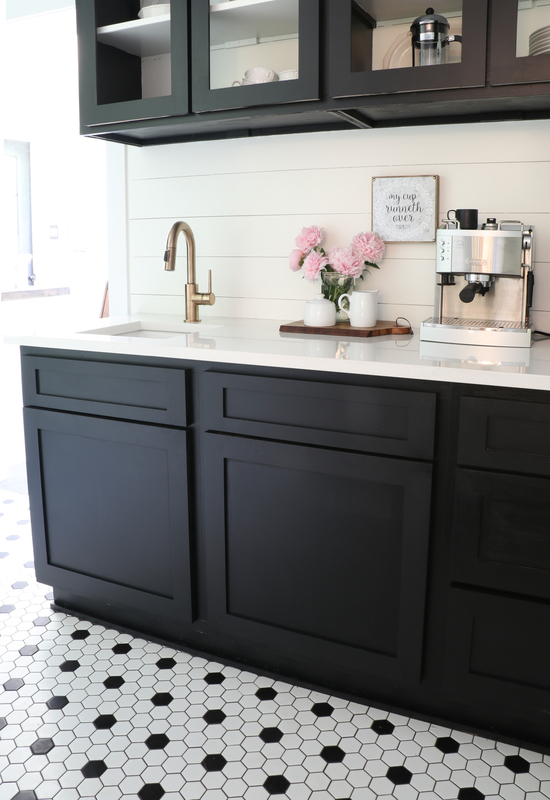 The design and counter top are so beautiful, especially with the dark cabinets. You did such a great job with this room. We have 4 sons and they are wonderful in stepping in when we need help. Love them. 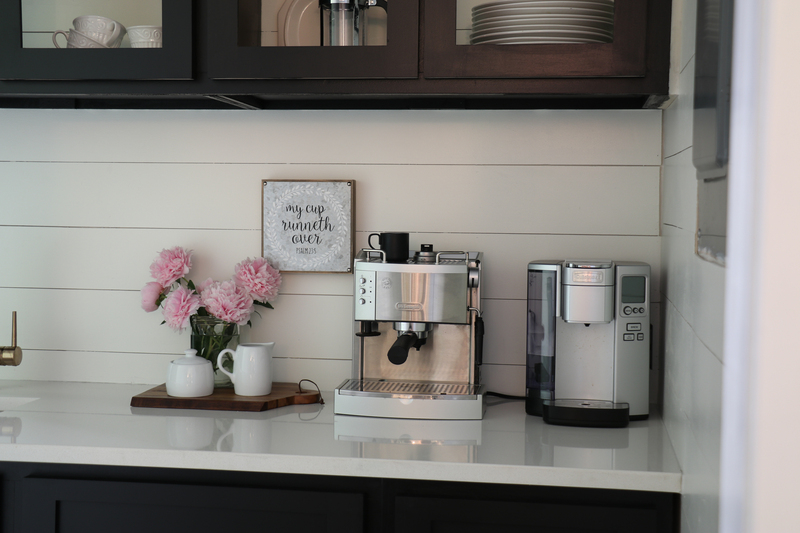 Love your beautiful new coffee bar space! So simple yet so elegant! 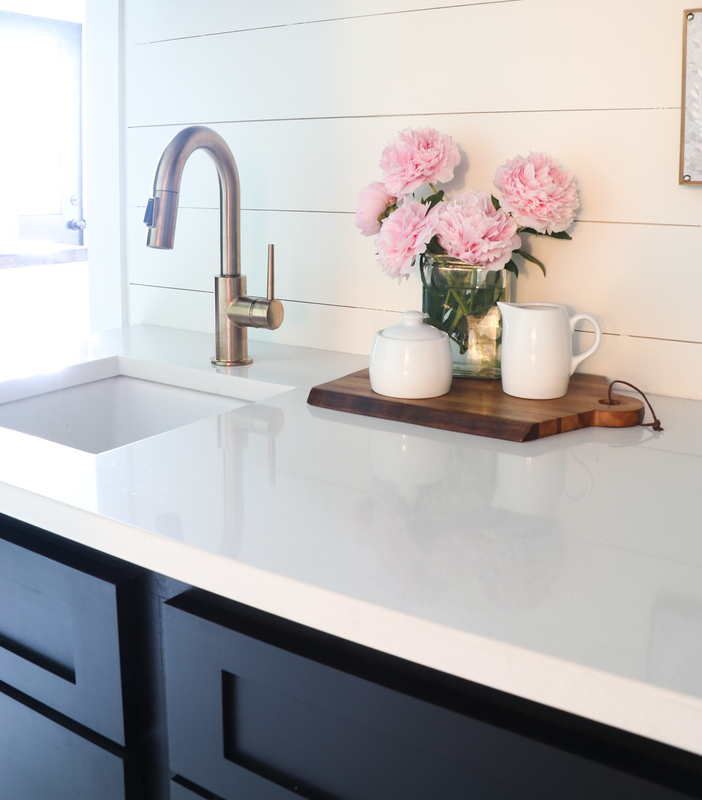 The colors are timeless…it seems to give the space a sophisticated feel yet still has the farmhouse charm with the shiplap. I so enjoy your blog. =) Have a great summer Traci! Love them!!!! Love the floor too, BTW!! I LOVE each & every addition you are making, Traci! You have lovely, lovely taste. Go Team Hutcherson!!! Traci, where did you get your sign, “My Cup Runneth Over”?